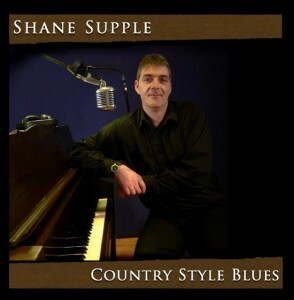 At 16 Shane Supple from Youghal, County Cork started touring with his father Art Supple, the well known singer and entertainer. Shane then spent the following years touring Ireland, the UK, and some European countries as a working musician learning his trade and at this time wrote his first song Someday I Will Be A Star. In 1992 Shane recorded his first EP Eyes of Blue. Shane toured with his father Art Supple up until ‘93 when he joined Irish Star Brendan Shine for a short spell doing concert tours of Ireland & the UK, during this time Shane wrote the song Youghal By The Sea which proved to be very popular in his native town. In 1999 Shane signed up as a keyboard player with Waterford country singer Paddy O Brien. While working with Paddy O Brien in 2001 Shane wrote Lifetime Guarantee which he sent to Paschal Mooney of Green Grass Music and a publishing contract was signed. Shortly after that another song Here I Am – Where Are You was recorded and released on the album Cottage By The Sea by Kevin Prendergast. His father Art Supple also recorded another of Shane’s songs Dance The Last Dance. By 2004 popular country singer Mick Flavin recorded Lifetime Guarantee on his album Try It You’ll Like It. In 2005 Shane got word that another of his song’s The Highway Song was receiving airplay as far away as Taiwan & Asia. During the summer of 2006 much to Shane’s delight and surprise, he got word that his song Your So Special was playlisted in New Zealand & Australia. 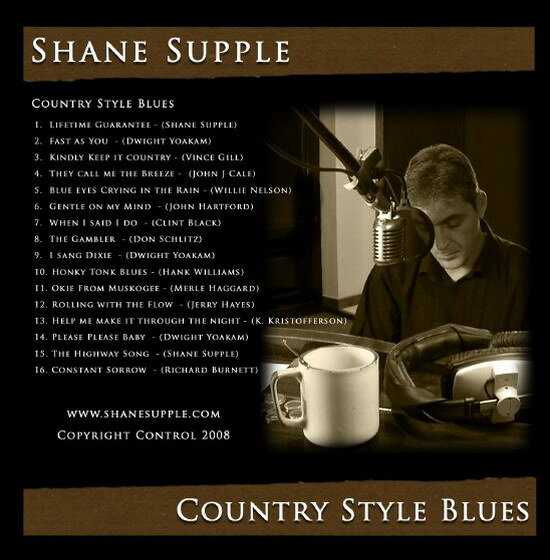 2009 see’s the release of the new 16 track album , Shane has been performing these songs onstage over the last number of years and was asked to record these songs by many people who heard him singing. The finished result is a fine collection of songs including his best known song Lifetime Guarantee (track 1 on the album), as well as The Highway Song (track 15 on the album).